Summers have knocked our doors. With the onset of summers, most of the world sets up the planning for summer holidays. As the weather is warm during this time, tourists make sure they travel to the cold locations in order to find refuge from heat and enjoy the vacations with family and friends. The preferred time for vacations, summer holidays make sure we travel light in terms of luggage and make up our best times for holidays. In India, the summer vacations usually start from mid-May and continue till the arrival of monsoons. This is usually the best time to visit the hill stations and enjoy the holidays in the lap of nature. And the preferred destination for such holidays rests in Himalayas. Literally translated as the abode of the snow, the Himalayas are the home to the to the planet's highest peaks. Crowning India’s north, west and eastern directions, the Himalayas are the pride of India. 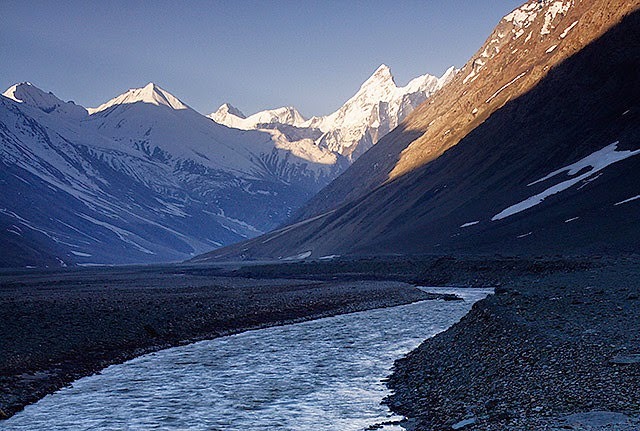 The landscape here boasts of snowcapped peaks, chilled rivers, waterfalls, glaciers, pine covered slopes and a unique ecosystem. The cold atmosphere here offers invigorating experiences. The air is cooler and crisper at these hill stations. Such a kind of environment gives tourists a refreshing outlook for life and nature’s rich wealth. The daunting mountains on the other hands overlook tourists from a great altitude and pose a challenge of trekking for tourists. In summers, tourists can easily begin trekking adventures due to the season. During the summers, there is no chance for snowfall or hailstorm, making it an apt time to begin trekking and mountain camping. The tourists keen on cool holidays up close to mountains can opt for cool hill tours in India. Assuring tourists of the heart-stirring sights, historical legacy and the most charming experiences tucked in the folds of Himalayas, the holidays here are full of life. There are many options to spend the summer holidays in Himalayas. One of such options is a week long Himachal Hill Tour. Filled with an invigorating freshness of nature, the special hill tour takes tourists through the renowned hill stations like Manali, Kullu and Dharamshala over a period of seven days. Besides introducing tourists with the rich and receptive Himalayan hospitality, the trip also offers them an opportunity to understand the Tibetan, hilly and Buddhist cultural beliefs. Another followed hill station trip is Darjeeling Vacation. Darjeeling or the land of the thunderbolt is located in the north-eastern Himalayas. A trip through this exotic hill station brings out the best of romantic experiences along the mountains. The allure of Darjeeling rests in its acres of tea gardens and the world heritage site of Darjeeling Himalayan Mountain Railways of India or Toy Trains. Also from here, tourists can look out for the second highest peak in the world, Mt. Kanchendzonga. Filled with the mystic Tibetan charm, the hill station presents the breathtaking experiences of being in the most charming hill station.